Hi, and Thank You for reading this blog! I truly do view both the Asperger’s/autistic community AND the WordPress community as….well, communities. I’m not here just to shout out my thoughts from the mountaintops, but also to listen to the voices of others. I think that to put one’s thoughts to electronic paper and release it into the cyber-ether for the entire world to see is amazingly cool; it assumes a certain amount of risk and it takes a certain amount of faith. There are invaluable friendships to be made and bonds to be formed. That’s really why I’m here. 1 – Please DO speak up! If your comment is respectful, you have nothing to lose. 2 – Disagreeing with me is OK! I believe that iron sharpens iron, and I’m also not afraid to admit when I’m incorrect/inaccurate. Please be sure to READ the post carefully in its entirety. If you do disagree, please quote the passage with which you disagree, and please do your best to cite a credible source for your viewpoint. Please understand that a lot of the posts on this blog are my personal views regarding my personal experience, and refrain from trying to change/trivialize those. Please remain respectful, intellectual, and cerebral; I’ll happily engage in a respectful and intelligent discussion, and I’m always eager to learn from others. I listen with an open mind; please extend the same courtesy. 3 – Bigotry, judgment, and personal attacks are NOT allowed at all; all first-time comments are moderated, while subsequent comments (i.e., you’ve already commented once and I’ve manually approved it) are approved instantly. Haters, bigots, extreme/over-the-top ableists, trolls (which includes what I call “Swoopers“), and narrow-minded people will not be acknowledged or approved. This is a safe space. I’m not extremely politically correct (you’ve been warned! ), and I’m pretty tough to rattle, but vitriol, hatred, harassment, personal attacks, and petty nitpicking are SO not-tolerated that it’s not even funny. 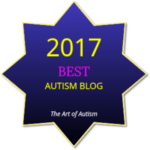 1 – The destination blog (i.e., that’s you) must be aligned with the Neurodiversity paradigm and Asperger’s/Autism Acceptance philosophies. In essence, nobody gets to share the blog posts of the ActuallyAutistic for the purpose of badgering, trolling, bullying, hostility, or any similar behavior. 2 – For non-commercial purposes/blogs, please feel free to reblog! Some bloggers charge for this; I don’t, and I have zero plans to do so. This is true if you are an individual OR a non-profit organization. All I ask is that you credit me as the source of the writing AND include a link back to either the specific post on my blog, or my blog’s homepage. (For WordPress bloggers on the wordpress.com domain, no worries, because WordPress will automatically do this for you.) NO permission needed; if you like what you see, just hit the reblog button and I’ll give you a big cyber-hug (and/or a high-five, whichever you prefer). 3 – If you are a commercial entity (i.e., a business or other for-profit venture), then please obtain permission first. Since the material you wish to use will likely benefit you more than it benefits myself and the rest of the Spectrum Community, I reserve the right to ask for a financial contribution/donation.